"... Breiner’s orchestrations take Debussy seriously and surely are intended as enhancements of the originals; I enjoyed listening to them ..."
"... orchestrated with a vibrant paintbox by Peter Breiner. Stylish Jun Märkl and the Royal Scottish National Orchestra exploit all the changing hues of this colourful showpiece ..."
"... the orchestral playing is exemplary and the sonics are first rate. There’s just enough resonance to deliver a true Debussian sound to the listener but all the inner details can still be clearly heard. Both conductor and orchestra were in splendid form during this session. 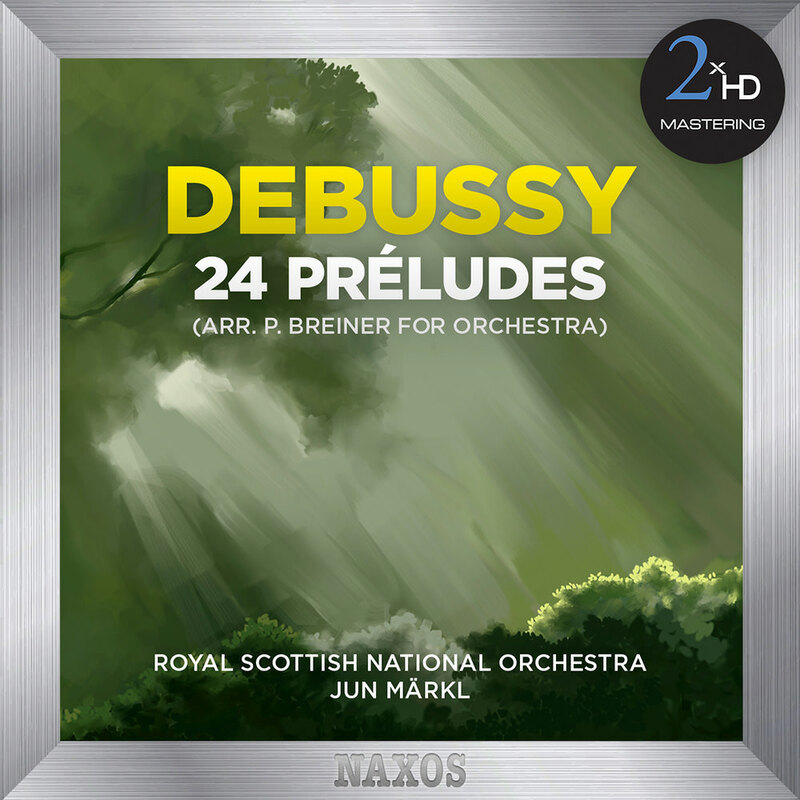 Well worth having and hearing ..."
This volume, part of a 2012 series released to celebrate Debussy's 150th birthday, features the 24 Préludes given subtle and colouristic orchestrations by composer and arranger Peter Breiner and interpreted skillfully by the Royal Scottish National Orchestra under Jun Märkl. Debussy's two books of Préludes contain some of his most visionary and poetic writing for piano, evoking calm seascapes, delicate wind tracery and snow-covered landscapes. Some moments are steeped in antiquity, such as La cathédrale engloutie, others in expressive portraiture, as in La fille aux cheveux de lin.